Fernando Alonso cruised to his first win of the season ahead of Jarno Trulli, who delivered the first podium for Toyota into the team’s fourth season. Nick Heidfeld took third for Williams after Giancarlo Fisichella and Mark Webber collided while battling over the position. 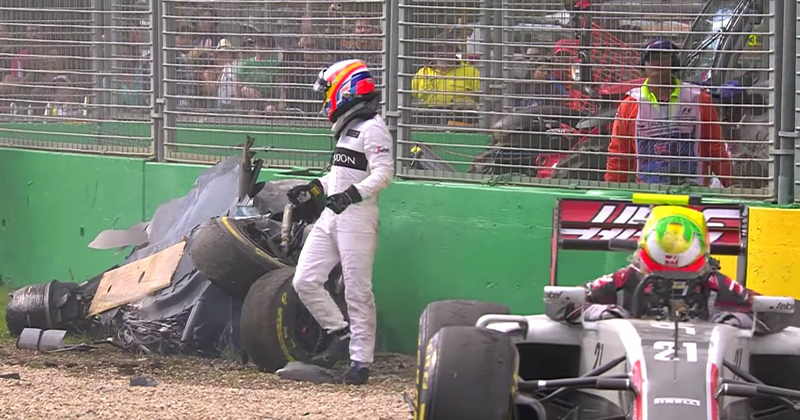 The first race of the season had to be red-flagged after Fernando Alonso slightly misjudged an overtake on the Haas of Esteban Gutierrez at Turn 3 and was sent cartwheeling into a spectacular high-speed accident. 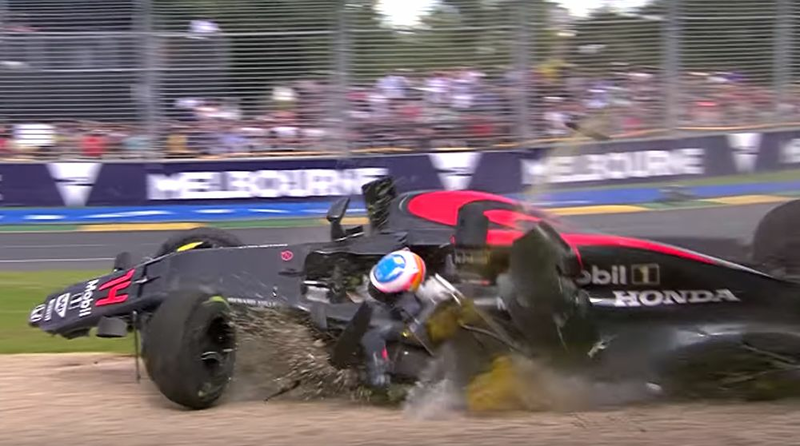 Despite the destruction and the fact his McLaren (or what was left of it) was left perched upside-down against the barriers, Alonso managed to exit the car incredibly quickly - apparently so his Mum wouldn’t get worried. However, he did suffer some broken ribs and a partially collapsed lung which ruled him out of the following race in Bahrain. The race got underway again and was won by Nico Rosberg from Lewis Hamilton, with early leader Sebastian Vettel ending up third. 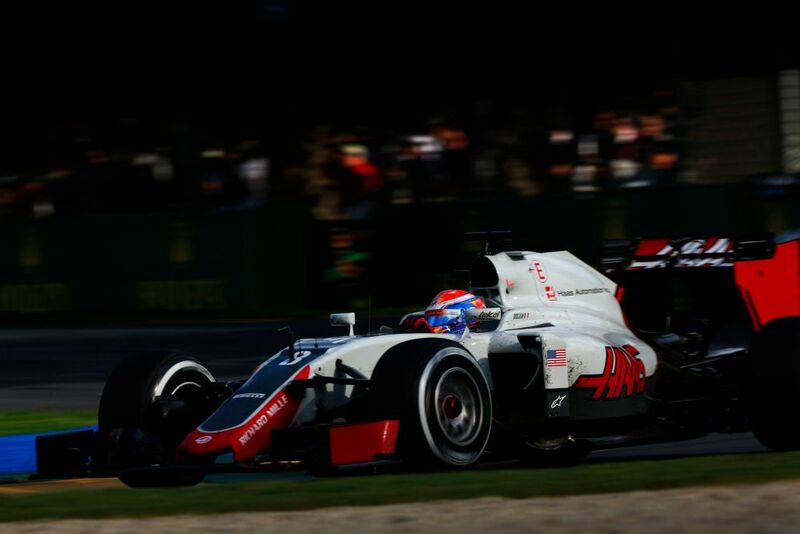 Romain Grosjean took advantage of the red flag and finished sixth for Haas in the team’s first race, becoming the first team to score points on debut since Toyota in 2002. Rio Haryanto also made his debut in this race, driving for Manor, and incredibly won the sport’s first-ever ‘Driver of the Day’ vote, despite retiring after just 17 laps. However, F1 later disregarded his votes on suspicion of fraudulent activity and Grosjean was awarded the honours instead. Pedro Lamy (born 1972) debuted for Lotus in 1993 and was set to drive for the team throughout 1994. However, he only managed to do the first four races after a horrifying crash during a test session at Silverstone saw his car go over the fencing and end up in a spectator tunnel. Thankfully nobody was around, but Lamy suffered serious injuries which kept him out of racing for over a year. Halfway through 1995 he returned with Minardi and in the season finale in Australia became the first Portuguese driver to score a point when he finished sixth. After another full season with Minardi in 1996 he left F1 and focused on what turned out to be an incredibly successful career in sportscars.